Now imagine the damp, the rain and the inclement weather of the average British Spring. Multiply that by North Scotland, the surrounding Atlantic gales that are magnified by being on an island, no shelter apart from that you bring with you and no food apart from that which you bring with you. Sometimes when people use the word ‘retreat’, it conjures up an image of warmth, cozy firesides, snug beds and contemplation that nudges into dreamless sleep. Tomorrow I make the long journey up North to meet up with a friend, a few others I know a bit and some I have never met. The day after, 12 of us will sail from a small port to Lunga. For 48 hours we will survive, share stories, pray, sit in silence, drink whisky and swear a lot. I last did this with this group 2 years ago. It would be much easier to stay at home I guess, but I would never have this experience otherwise. Sometimes you have to travel somewhere to find something that you thought you had lost. The author talks about how many of us begin conservatively- at least in the first half of our lives. ; it gives us a sense of ‘place’. We need things certain and secure in order to grow and to later find something to rebel against. This chimes so much with me. I suppose I was conservative theologically (but never politically…), socially, psychologically etc etc. in my 20s. As life fractured in my 30s and I became aware that not everything was ‘onwards and upwards’, I began to change. Many around me also did. The ones who didn’t often became angrier or seemed to be. I guess the trick as you get older is to become comfortable with letting go/changing and then keeping your boundaries low so you don’t make your fences higher. ‘…you learn how to recover from falling by falling’. I have been around people with whom you cannot show weakness: they just can’t cope with it so they change the subject or they try and ‘fix’ you from their position of ‘strength’. Over time you learn to avoid close contact with people like that or at the very least: cease to apologise for who you are. I think I have done more in the last 18 months that pushed me beyond my usual positions of strength. This has not been without stress or anguish, but has led to some of the most ‘growth’ ever…. 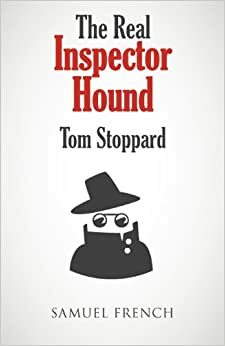 ‘The world is more magical, less predictable, more autonomous, less controllable, more varied, less simple, more infinite, less knowable, more wonderfully troubling than we could have imagined being able to tolerate when we were young‘ (p25). It is reassuring to read this and also very liberating. It explains some of the changes I have seen and am experiencing…and some of the architects of certainty that I react strongly against…. I think I expected more from this age. 30 years ago, I imagined a mortgage paid off and some level of security. I haven’t- life still seems to involve change and flux. I am aware that much of what I expected to be my future at age 33 no longer is: I am no longer a Methodist minister in a church. Constant change is part of my life-at the moment it seems more so than the case of most of my friends. I think I preached more about change when my own life was stable (most people, faith or non faith who speak about change seem to have stability in their own lives…) I did not always see why people resisted change. 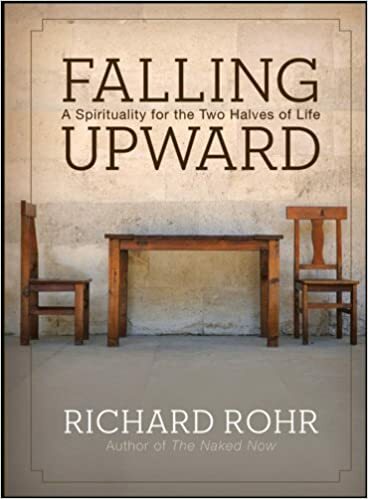 Rohr talks a lot about the marker of a the 2nd half of life about being open to change and welcoming it as a friend and not something to be kept at bay. It is hard though isn’t it? This is a book that I read as one of my ‘fifty things for 50 years’. I keep returning to it. It is tagged ‘a spirituality for two halves of life’. It would repay careful reading for anyone- whether of formal faith or not. It makes me think carefully about the changes in perception I am experiencing: perhaps the changes that led me into chaplaincy in the first place. I may have blogged before about this, but a theological college, I became reasonably ok at Pool. The main reason for this is that after lectures people would pour into the Common Room and argue about theology. I had no real interest in arguing it- I wanted to try and live it or just hear why someone believed what they believed and what their beautiful stories were. ‘Mature people are not either-or thinkers, but they bathe in the ocean of ‘both-and’. I was half glancing at a poem in my boss’s office. I’m sure it had the above line in it and it was cast in a positive light: if I had the courage to have a go at more things it would mean that some did not work out. This came to mind when it was my 50th party, which was one of my ’50 things for 50 years’. During that, I attempted another one: to try and play at an open mic again. As the local one seems to have finished, I planned to play a song as part of a shortened speech and count that as an open mic. And…. I managed it. It wasn’t great; it could have been much, much better. It is very scary up there. At first I cringed, but then I thought: I had a go. I am not going to get any better in public unless I keep having a go. And sometimes that will mean failing. And failing is not necessarily a bad thing.